Want to be the envy of your neighbourhood with a stunning outdoor space that looks fantastic and is easy to maintain? 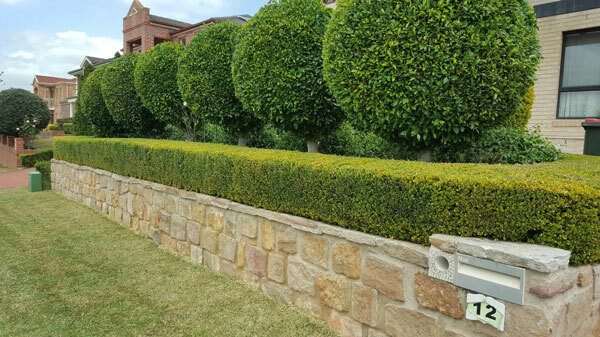 Dual Group is a Sydney-based provider of landscaping and garden maintenance for residential, strata and commercial properties. Our team of certified and insured gardeners have experience in acreage mowing, turf laying, fertilising and garden maintenance. We take enormous pride in not only the expertise of our local team – but their attention-to-detail and positive attitude. With a smile on their face, our team provide quality landscaping services at an affordable cost to you. Regardless of the size of your project, we can manage your garden from start to finish. With standard and ride-on mowers, our team can manage lawns of any size or complexity. We also have access to waste removal skips to ensure the area is clean and spotless – ready to use! Want to keep your lawn looking fresh and trim cut all year round? We can set up a series of appointments that suits your schedule and lifestyle. Dual Group offers a select range of premium quality natural and synthetic turf for all soil types. All turf is custom-made and sized to integrate seamlessly with your new or current outdoor space. Made from the highest quality materials, your new turf is hard wearing, low maintenance and ideal for the Aussie climate. Plus, your turf gets a fresh start with a comprehensive fertiliser treatment from us. Fertilising is a deeply involved and time-consuming process that can go horribly wrong if you use the wrong products. Due to the range of plants that need certain types of fertiliser, it’s important to get it right the first time to avoid potential disaster. For the best chance at achieving a healthy lawn and garden, our landscaping service can help your plants thrive. Dual Group offers a range of soil improvers, wetting agents, liquid and controlled-release fertilisers. Each product is Australian-made to deliver outstanding performance in the most diverse climate. With a personal onsite consultation, we devise the most suitable and cost-effective pathway to reach your goals of the perfect garden. Take another look at your garden and think about how you’d like to improve your outdoor area. Call 1300 303 539 or send your online enquiry to book an obligation-free appointment with a landscaping specialist in Sydney.